Q5. 52×3×24×22×32×7 Find the L.C.M. Q8. What will be the remainder when (29)36 is divided by 28 ? 2017 aane do.....punjab mein e-badal bhi nahi milega.....SAD will be wiped up...time for AAP !! Post with full solution step by step it will be helpful for those who is novice,please...sir. Q6. ans sud be option (c) 540. 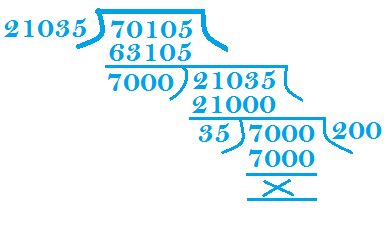 Q.wht will be the remainder when 2222^5555 + 5555^2222 is divided by 7? for d product 21 x 22..x 25 ., see here , we hav 22 which is an evn no. and 24 which is agen an even no. and 25 is 5x5.. thus we get 2 pairs of an evn no. and 5., thus 2 zeros..
shortcut : see., here it is 25! sir do chk d solutions of qn 6 and 10..
go thru d solns otleast once.. dey seem to b long ., but dey r actualy not if u put thm on pen and paper ., also i hav gyvn a shortcut to qn 10.. do chk dat.. oders are short ones.. explanation is long..
hi... bhul gayi ?? ya stil firing at me ?? so hcf = 4 x 27 x 3 x 5 = 1620.. how r u geting 540 ?? d gyvn qn now simplifies as : 3^5 + 4^2 = 259.. divide this by 7.. u get 0 as d remainder.. and thus d remainder of d sum askd in d qn is also 0.. okk ?? dont beliv ?? try working out on 6^11 + 11^6 remainder whn divided by 7..
in product 1: its "3125" not "3 x 125"
n yeah.. if u remember me firing at u... den i think u sud also remember d way u were talking..!! i was just asking ur ful name, but indirectly., u took it so seriously - m sorry ., but dat was nevr my intention.. why shud i talk rude to u.. i usd to solv ur qns coz any oder tym i dint get som gud qns to solve - but whn u posted som quality qns., it was brainstorming for me.. whn u askd me 2 share vedic maths and som oder tricks., i ced dat i can do it only on fb ., coz der r many pgs of my self-prepared notes n here i can upload only 1 snapshot per coment.. dats y i askd u - tel me ur ful name , lyk d status n i wil add u but i ced it indirectly.. u tuk it oderwise.. also i told u dat i am not simply i.. my initials are P and K.. wat r ur initials - dat was my qn..
U can ask me anything directly..., will tell u what I can... Otherwise will say no... Simple..!! Wts d use of dis indirect way...., anyways my "FULL" name is Anu Thakur... is dat ok now? ?